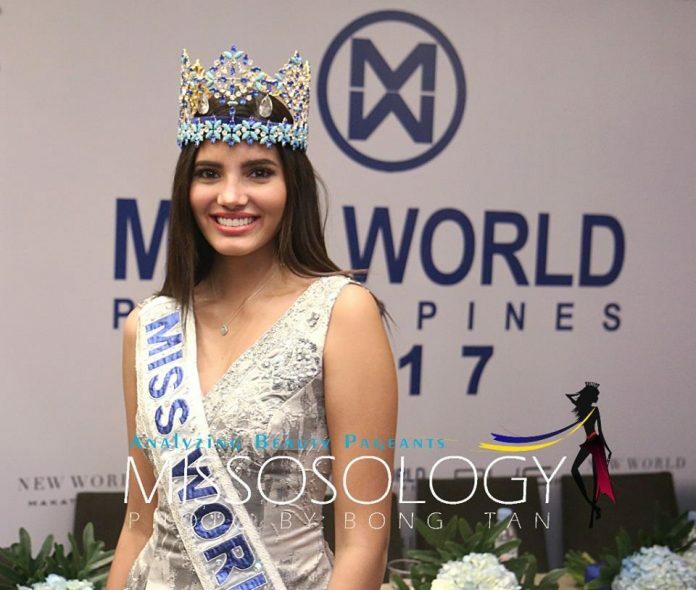 Stephanie del Valle passed her crown last night and indeed Manushi and the future Miss World winners has a large shoe to fill. Despite some negativity that was hurled at her, Stephanie stood tall and went on to fulfill her duties. She raised record-smashing funds to help children and the underprivileged. She visited so many countries promoting charity as she encouraged her fellow beauty queens to give more to those who are in need. Stephanie is truly the epitome of grace and of sophistication. We can’t deny that her victory did not sit well with some people but she just went on with her work as Miss World. When asked about those negative comments, she gracefully answered that she is as shocked as those people who questioned her victory. While she confessed that she sometimes come across some negative comments online, she still believes that she represented Puerto Rico in the best way she can. Perhaps there is an advantage of being suddenly thrusted into the spotlight. For Stephanie, there is no sense of entitlement with her victory. She was given a life-changing crown but for her it has to be about fulfilling the duties attached to that title. She said that to be Miss World is to be both passionate and compassionate. During the finals night of Miss World 2017, the story of Stephanie – albeit condensed to a few minutes – was shown to world. It was that moment that we should all appreciate her genuine personality. Her tireless effort to help young children and her passion to support various charity groups from around the world is an accomplishment as commendable as the crown itself. Stephanie del Valle’s reign as Miss World may have ended last night but for the people whose lives she touched, she will reign forever in their hearts.